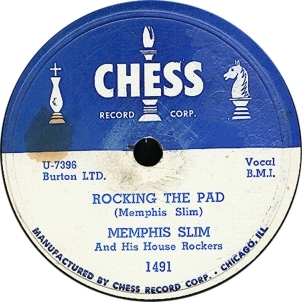 Electric Blues started with famed artists on the Chess Records Label. Chicago's south side clubs began the live performance of Electric Delta Blues, and Lenny Chess brought from there to the Airwaves. Chess Records was an American record label based in Chicago, Illinois. It specialized in blues, R&B, gospel music, early rock and roll, and occasional jazz releases. Run by brothers Leonard and Phil Chess, the company produced and released many important singles and albums, which are now regarded as central to the rock music canon. Musician and critic Cub Koda described Chess Records as "America's greatest blues label." The Chess Records catalogue is today owned by Universal Music Group and managed by Geffen Records. Chess Records was based at several different locations on the south side of Chicago, Illinois, the most famous being at 2120 S. Michigan Avenue from c. 1956 to c. 1965, immortalized by British rock group The Rolling Stones in "2120 South Michigan Avenue", an instrumental recorded at that address during their first U.S. tour in 1964; the Stones would record at Chess Studios on two more occasions. The building is now home to Willie Dixon's Blues Heaven Foundation.